Elbit Systems’ Helicopter Long-Range Active Sonar (HELRAS) dipping sonar has successfully performed a sea acceptance test (SAT) with the Israeli Navy on board the Seagull unmanned surface vessel (USV). Carrying out an autonomous end-to-end unmanned MCM mission in sea states 5 and 6 in the Belgian North Sea MCM trials that were conducted at the beginning of June 2017 off the Belgian Zeebrugge Naval Base. 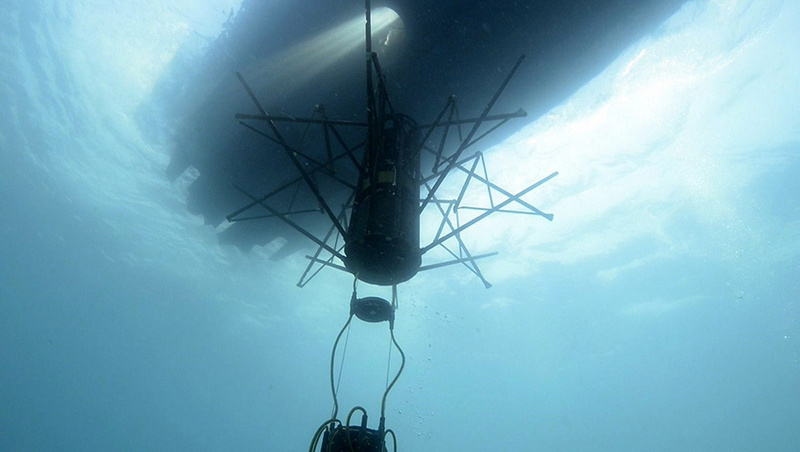 The L3-designed HELRAS DS-100 system is capable of operating at depths to 500 metres and has figure of merit (FOM) sufficient to achieve second convergence zone detection in deep water and unparalleled direct path coverage. Low-strength targets moving at slow speeds are detected through the use of high-resolution Doppler processing and long shaped pulses. In addition to its long-range surveillance and search capabilities, the DS-100 is well suited to re-detection, target localisation and weapon delivery against deep and shallow water targets.